Wednesday, Dec. 5, 2018, 3:30 – 7 p.m.
Arctic explorers sometimes credited their survival and exploration successes to the knowledge they gained from Indigenous people during their explorations in dangerous times in harsh but fragile environments. Others who were less open to the wisdom of Arctic dwellers failed to learn from them and thus also failed to meet their objectives and indeed, sometimes perished. We are now experiencing another dangerous time of climate and associated rapid environmental and social change. Yet one hundred years later, researchers working in the North have often made the same mistakes by discounting Indigenous and local knowledge in their search for scientific truth-whether seeking the fate of the Franklin expedition or documenting disappearing sea ice and permafrost. In large part, however, our survival and future depend on the lessons we are learning from Northern people on the front lines of climate change and biodiversity loss about how to adapt and thrive in conditions of dramatic uncertainty and change. Climate researchers are modern explorers attempting to learn from the knowledge, ancient and contemporary, held by Northern people which may yet ensure our survival. 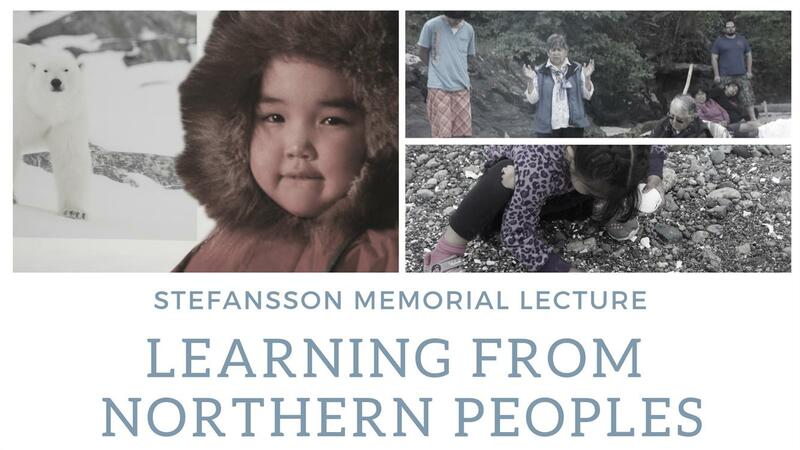 This Stefansson Memorial Lecture will introduce some of the emerging findings from that research that may help those of us in lower latitudes to prepare for, respond to and survive dramatic changes in the social-ecological systems upon which we depend. Leslie King is Professor of Environment and Sustainability at Royal Roads University in Canada. She holds degrees from the University of British Columbia, York University, University of Toronto and the London School of Economics. King was faculty at the University of Vermont, the Founding Chair of Environment at the University of Northern British Columbia, Founding Dean of the Clayton H. Riddell Faculty of Environment, Earth and Resources at the University of Manitoba and Vice President Academic at Vancouver Island University. Recent research projects include Northern Knowledge for Resilience, Sustainable Environments and Adaptation in Coastal Communities, (NORSEACC) Meeting the Climate Change Challenge (MC3), Protected Areas and Poverty Reduction in Africa and Canada, Arctic Climate Predictions: Pathways to Sustainable Resilient Societies (ARCPATH) and Clam Gardens in BC: Eco-cultural Restoration.